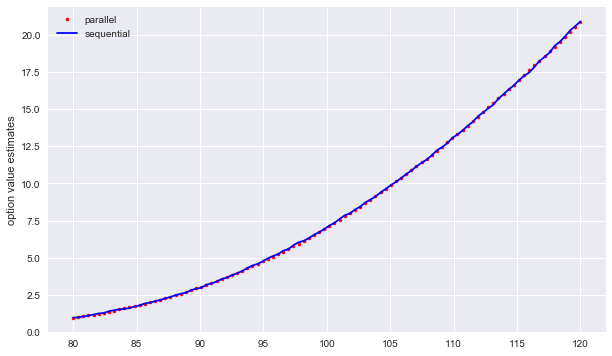 Derivatives (portfolio) valuation by Monte Carlo simulation is a computationally demanding task. For practical applications, when valuation speed plays an important role, parallelization of both simulation and valuation tasks might prove a useful strategy. DX Analytics has built in a basic parallelization option which allows the use of the Python mulitprocessing module. Depending on the tasks at hand this can already lead to significant speed-ups. The example is based on a single risk factor, a geometric_brownian_motion object. We also model only a single derivative instrument. However, the derivatives_portfolio object we compose consists of 100 derivatives positions. Each option differes with respect to the strike. First, the derivatives portfolio with sequential valuation. … and the results visualized. 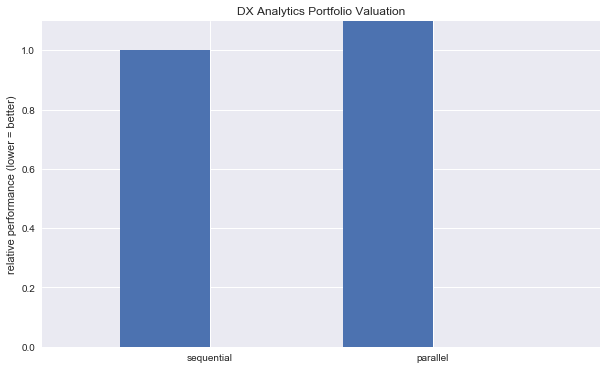 Second, the derivatives portfolio with parallel valuation. The call of the get_values method for the parall valuation case. 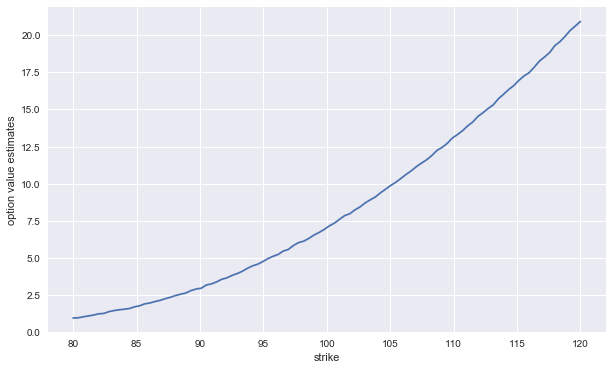 Again, the results visualized (and compared to the sequential results). The realized speed-up is of course dependend on the hardware used, and in particular the number of cores (threads) available.